The Tallinn Chamber Orchestra was founded in 1993 by conductor Tõnu Kaljuste. The predecessor of the orchestra was a string orchestra founded by prof. Jüri Gerretz in 1989 from students of the Tallinn Conservatoire. From the core of this student orchestra Tõnu Kaljuste formed a professional chamber orchestra. Though it is a string orchestra the best wind players from the Estonian National Symphony Orchestra and the Estonian National Opera participate regularly in the work of TCO. Particularly in the early years the activity of the Tallinn Chamber Orchestra was very tightly connected with the work of the Estonian Philharmonic Chamber Choir and mutual concerts brought much international recognition to both groups. In 1993 a CD with Arvo Pärt’s „Te Deum“ was released by ECM and this recording was for one year in the top of several disc rankings and was much praised by important music critics. Later several important records were released by ECM: Erkki-Sven Tüür’s „Crystallisatio“, Arvo Pärt’s „Litany“, “In Principio“ and „Adam’s Lament“, Heino Eller’s „Neenia“ and others. The Tallinn Chamber Orchestra has also recorded for Warner Music / Finlandia Records, Carus Verlag, etc. From 1993-1995 and 1996-2001 the chief conductor of the Tallinn Chamber Orchestra was Tõnu Kaljuste. Very important figure for TCO has been Finnish conductor Juha Kangas who was the chief conductor 1995-1996 and the artistic advisor 2001-2003. During later years the activities of TCO have been supervised by the Artistic Director of the Tallinn Philharmonic Society Eri Klas. From September 2013 the chief conductor of the Tallinn Chamber Orchestra is Risto Joost. 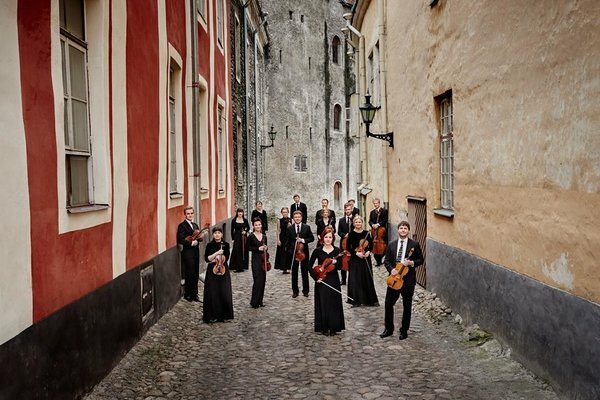 The Tallinn Chamber Orchestra has performed at many prestigious music festivals: Festival of Bach Cantatas in Milan (1996, 1997), Bremen Music Festival (1998), Settembre Musica in Turin (2004), Budapest Autumn Festival (2005), Kaustinen Chamber Music Week (2005), Bergamo and Brescia Festival Arturo Benedetti Michelangeli (2007), Festival Musiikkia (Rouvesi, 2012), Festival Cervantino (2012), Schleswig-Holstein Music Festival (2013). TCO has been touring in the US, Canada, Japan, Brazil, Argentina, Mexico and in most of the European countries. Besides the conductors mentioned above the Tallinn Chamber Orchestra has been conducted by John Storgårds, Pietari Inkinen, Okko Kamu and Jaakko Kuusisto from Finland, Richard Tognetti from Australia, Terje Tonnesen from Norway, Valentin Zhuk and Daniel Raiskin from Holland, Samuel Wong from Canada, Dmitri Sitkovetski from the UK and, of course, Estonian conductors like Eri Klas, Olari Elts, Paul Mägi, Arvo Volmer, Kristjan Järvi, Vello Pähn, Jüri Alperten, Andres Mustonen and others.